T20 Group are immensely proud of a new tech initiative recently launched at the Simonds Sydney gallery. 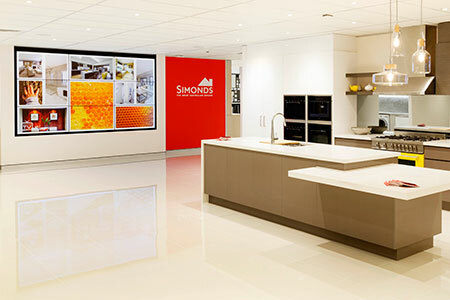 With nine 46” high-definition screens configured to form an impressive video wall more than three metres wide, the project has created a unique new communication platform for Simonds. Powered by T20’s "Dave Live" technology, the cloud-based system can deliver a range of custom digital and multimedia content, all remotely managed in real time from T20’s Melbourne office. 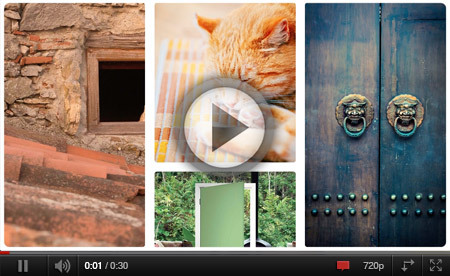 The first custom content initiative is ‘The Wall of Inspiration’ which displays images at random, simulating a live feed like Pinterest or Tumblr. Well, not quite random, for the technically minded, an algorithm was developed that generates the image feed, determines their on-screen placement and resizes them accordingly. Currently curated around the theme of autumn, the library of over 1,000 hand-selected images provides an engaging, inspiring and dynamic source for the image feed. Themes will change seasonally, and will also include other custom content. In the coming months, the ‘Wall of Inspiration’ will be rolled out in Simonds gallery spaces nationwide. The project was imagined, built and developed completely in-house, bringing together client management teams, digital and creative in a true embodiment of T20’s collaborative approach.